This was a fantastic book, but for different reasons than other poker books. Haseeb does not waste time discussing every aspect of poker theory. Instead he focused on how to program yourself to develop into a high level player; which includes everything from lifestyle design to the many overlooked nuances of gambling for a living. This book has changed my life and made me realize that playing poker is actually not my passion and that by continuing on my path I'm only hurting myself and others. It does not fit my lifestyle design. But this will not be the case for everyone of course. 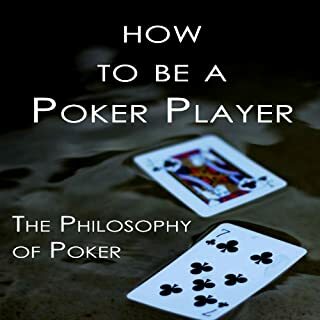 If you have any intention of playing poker seriously I recommend this book to you and I suggest that you be very honest with yourself as you absorb the content. If poker is for you than this book can become your bible. If not, you will save yourself a lot of time, money and pain for having read this. Best of luck to everyone.